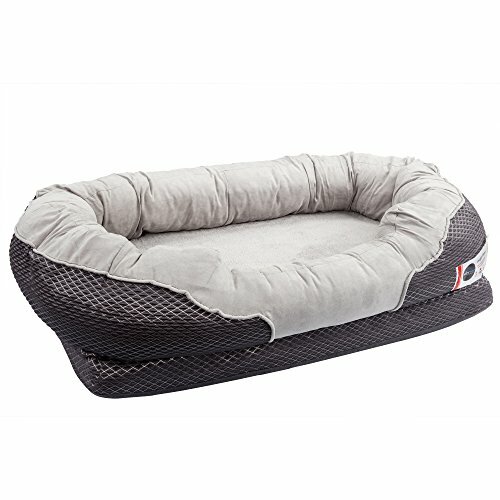 Medium Orthopedic Sleeper: 32″ x 22″ x 10″ – Ideal for Small to Medium size dogs and also great for multiple smaller dogs. Can easily hold up to 50+ lbs and fitted for pets up to 26″ in length. 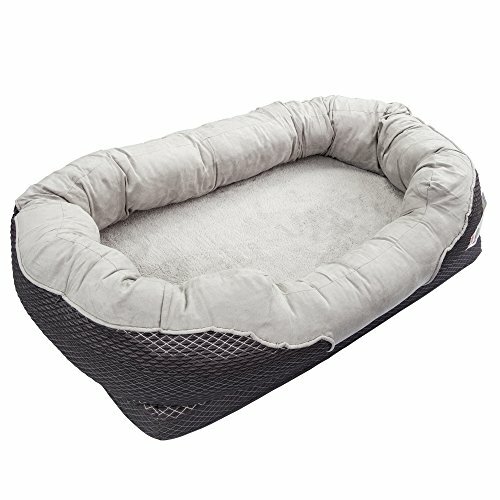 BarksBar Grey Orthopedic Dog Bed: A Good night’s rest is essential to your dog’s happiness and well-being. Designed for everyday use and made with high end orthopedic memory foam used for humans, this luxurious dog bed is built to last promoting endless support and joint relief. 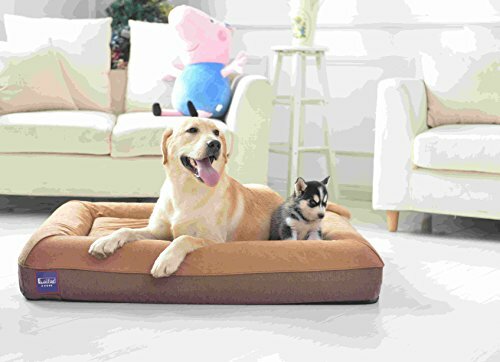 Yours BarksBar Orthopedic Dog Bed Comes With: High quality orthopedic foam provides deep cushioning and pressure relief on joints. 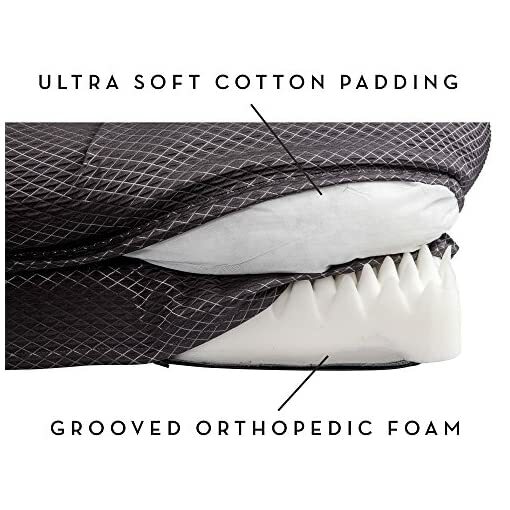 Cotton padded walls designed to instantly contour to the neck and head for optimum confort. Comes in a quilted gray, removable, machine washable cover that matches any home decor. 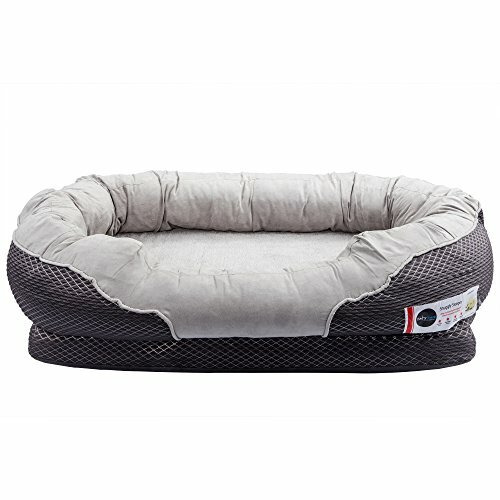 The bottom of the bed is lined with nonslip backing rubber to prevent the bed from ever sliding around. 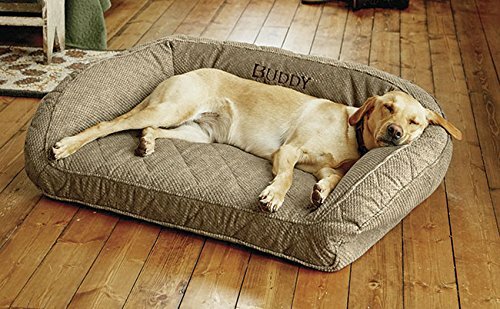 Actual Dog Bed Size: 32″ x 22″ x 10″ (M), 40″ x 30″ x 10″ (L). 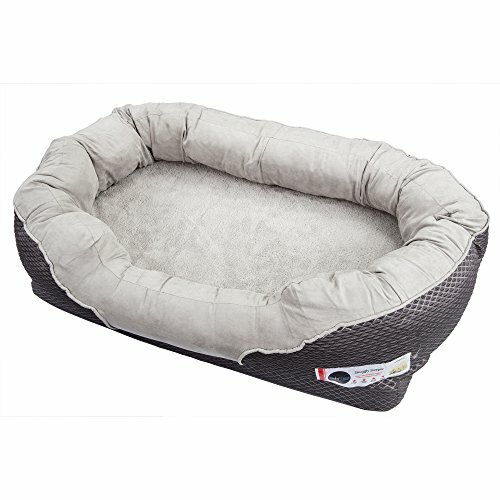 Inner Dimensions of Sleeping Space Inside Bolster: 26″ x 16″ (M), 36″ x 24″ (L). 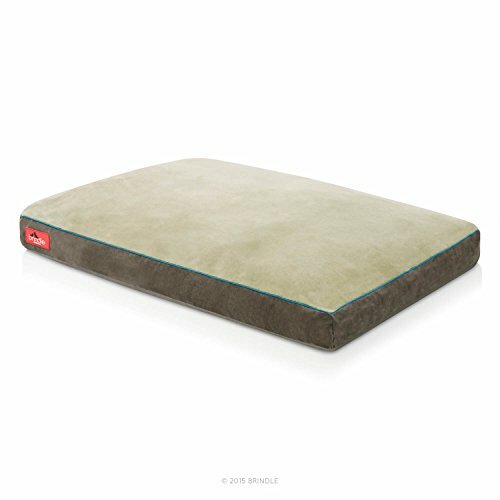 How to Install: Simply unwrap memory foam, insert memory foam into the cover and zip closed. Easy To Clean and Maintain: Machine-Washable. Remove cover and use gentle or delicate cycle and air dry. Easy to vacuum, spot clean and wipe off. 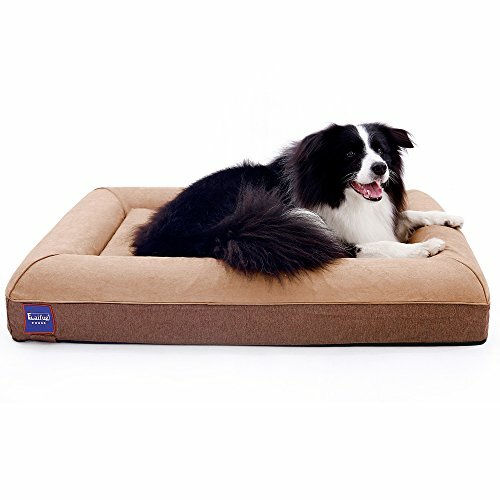 Give your best friend the support they need by pampering them with the luxuriously crafted BarksBar Orthopedic Dog Bed. 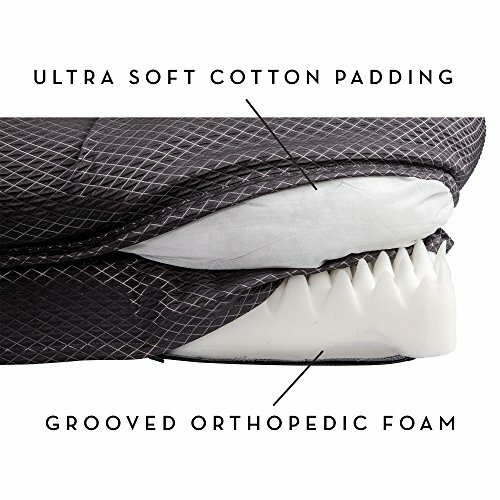 Crafted with top-of-the-line workmanship and premium materials, our beds are built to last. Designed to match any home decor, our Orthopedic bed is the ultimate sleep experience with high grade orthopedic foam that will not lose its shape and still contours to each and every crevice of your pet’s body. It truly provides the perfect balance of comfort and support that your dog of any age. 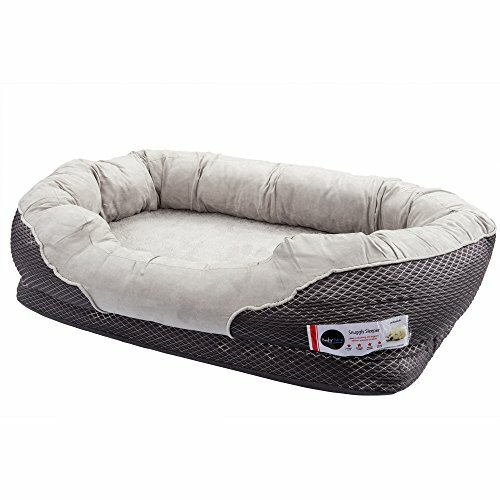 Ideal for small to large dogs up to 100 lbs, our bed features padded walls for constant support and decompression for ailing heads and necks of all sizes. 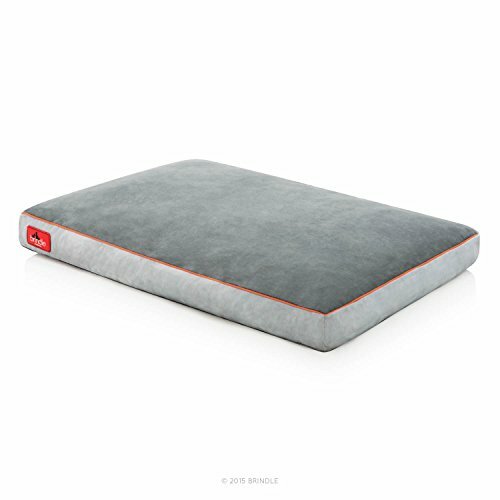 The BarksBar Orthopedic Dog Bed also features a machine washable zipper cloth as well as a non slip backing to ensure your furry friends are taken care of. Large – 40" x 30", Medium – 32" x 22"